European Gaming and Betting Association (EGBA) would like more cooperation in promoting and helping with responsible gambling. 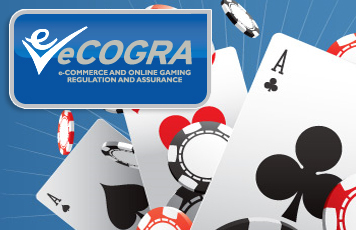 It is the duty of all online gambling sites to help take part in this endeavor! Key stakeholders from across the online gaming industry spoke with one voice at the inaugural ‘Responsible Gaming Day’ event at the European Parliament last month, calling on the European Union for greater cooperation to ensure a safer and more secure online gaming environment for consumers. The event, the first of its kind to be hosted at the European Parliament, saw a number of MEPs, the EU Slovenian Presidency, regulators and academics join industry representatives to exchange best practices and knowledge in the field of responsible gaming. Christofer Fjellner, MEP (EPP-ED, Sweden) added, “The key ticket to entering national markets is consumer protection. Using this as an argument to protect monopolies is simply letting consumers down.” Continuing the monopolies theme, it was argued that as state operators can be regulated, so can private operators, a point emphasised by Unibet’s Petter Nylander in his address on policy frameworks for the gaming industry. The event also featured academia specialised in gaming and betting behaviour research who emphasised the need to use scientific research rather than conjecture when talking about online problem gaming. I agree with this whole heartedly. If everyone would take part, then there would be no need to worry about enjoying yourself when you gamble online.